Today I found myself with a bit of unexpected free time. It was beautiful outside, so I decided to go do stuff. Including test driving this 944 Turbo at a small-town dealership about 30 miles away. 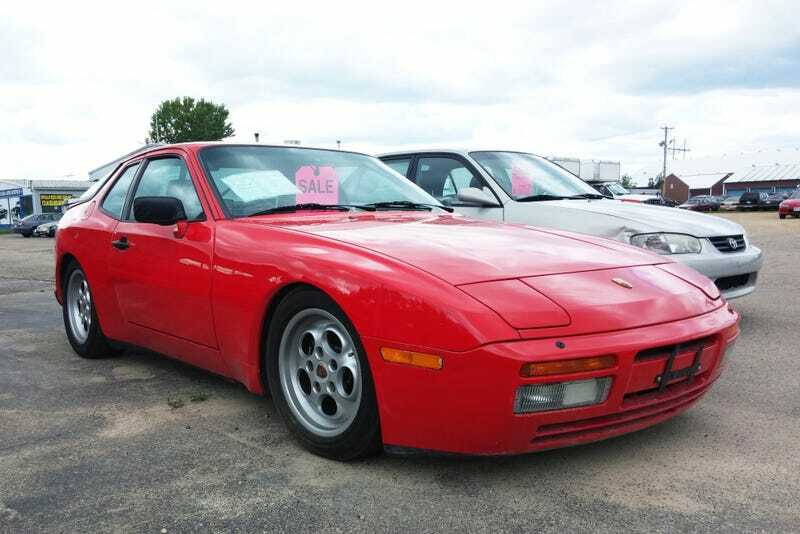 I had tried and failed several times to go see this 944 Turbo, mostly because the dealership selling it isn't open very late, so I couldn't make it there. Except, today I could. It's a nice scenic drive out to the town where the dealer is, so I figured might as well make the trip. Along the way, there were of course some cows, because this is Wisconsin. The Matt Kenseth Fan Club Headquarters & Museum. And this Subaru boneyard with a bunch of weird stuff. I pulled into the dirt driveway and promptly kicked up a cloud of dust that came billowing through my open windows. I then went and checked out a Nissan 370Z convertible, which I didn't like very much. So there won't be a test drive report forthcoming on that one. All in all, pretty solid day.